We love the holidays, and we're excited to share our list of upcoming events this season with all of our residents! Start a new holiday tradition by visiting Christmas Glow, Greater Edmonton's largest indoor Christmas festival! 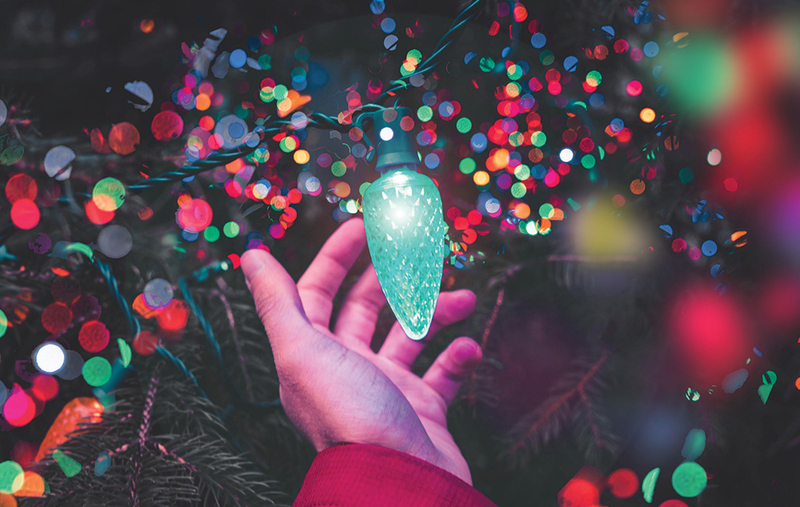 The whole family will love walking through the Christmas Light Gardens and the Musical Light Tunnel to see a million lights aglow, including interactive hanging lights and LED swings. There is also a Magic Castle playground for kids, train rides, a Christmas market, and daily visits from Santa! All this, just 15 minutes from most of our Edmonton apartments. Bring your little ones to meet Santa himself at the Jamie Platz Family YMCA. Indulge in breakfast, crafts, and fun games from 9am to noon. Tickets are $7 for members and $9 for the general public. Santa is coming to Leduc! Get your spot along Main Street early and enjoy free hot chocolate and treats as you await the parade. Monetary donations for the Leduc & District Food Bank are appreciated. Since 1960, residents along 148 Street have decorated their homes to celebrate Christmas. Here you'll see stunning light displays, over-the-top decorations, and holiday spirit at its best! As the second largest contributor to the Edmonton Food Bank, Candy Cane Lane is an example of dedication and creativity. Admission is free with non-perishable food donations. Additionally, paid sleigh rides from St Andrew's United Church are available every half hour starting at 6pm and run for 45-60 minutes. Head to Martin Deerline's for a green Christmas! This free family event lets children get a photo with Santa on a John Deere Tractor, make a craft, and enjoy some holiday treats. Santa photos are available with a donation to the local food bank. Happy Holidays from Ayre & Oxford!